Alternative therapies aimed at addressing whole-body wellness abound in town. As many factors continue to change the U.S. health care system as we know it, medical practitioners and patients alike are increasingly looking to complementary and alternative medicine. From ayurvedic approaches to massage and chiropractic services, these kinds of products and practices are used instead of—or in addition to—standard medical care. According to the National Center for Complementary and Integrative Health, more than 30 percent of adults in the U.S. are seeking options outside of their doctors’ offices for health care. And a growing number of Laguna Beach businesses serve as a reflection of this trend, offering a diverse range of remedies and treatments for nearly every health issue and ailment. “Coastal communities are often fitness- and health-oriented,” says Dr. Brett Florie, owner of The Hydration Room, which offers intravenous fluid hydration and vitamin injection therapies aimed at treating jet lag, dehydration and muscle soreness, among other conditions. 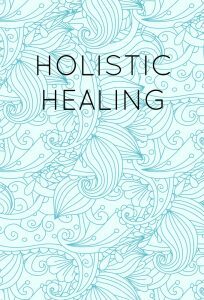 Florie holds dual medical degrees in osteopathic care (supporting the belief that the body has the power to heal itself naturally) and the allopathic approach (treating disease and illness with remedies like drugs and surgery). 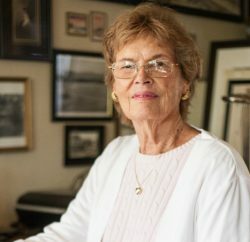 “People find out that the side effects of allopathic medications can be as bad as what they are trying to treat, and then turn to alternative options that can be as effective and less abrasive,” Florie says of the benefits of alternative medicine. 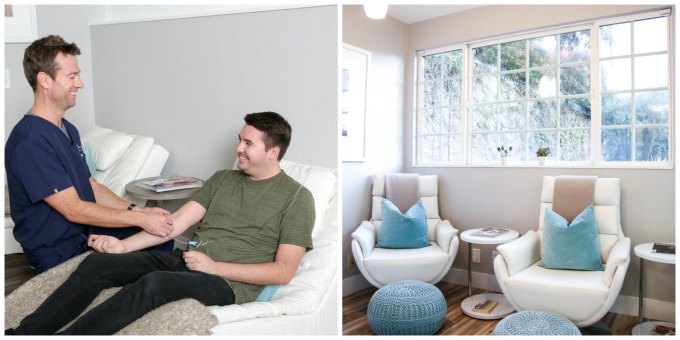 In addition to The Hydration Room, The Float Lounge and CryoCareUSA are among the establishments that provide patients with nontraditional health and wellness options in Laguna Beach. And, though they offer different treatment menus, all three businesses share a similar outside-the-box and holistic, or whole-body, approach to health and wellness. 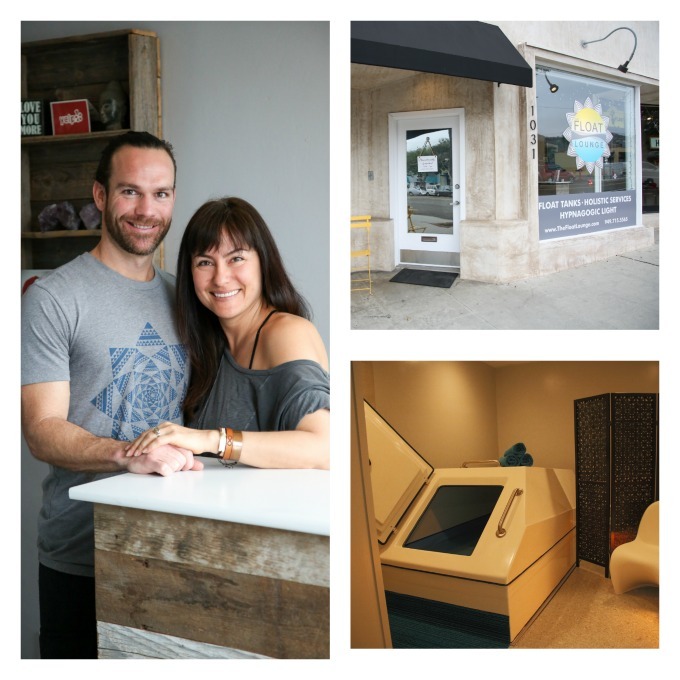 Clockwise from left: The Float Lounge co-owners Jeff Brion and Rosanne Ramirez; the business’ new location, which opened last year; and an Epsom salt tank. Established in Laguna Beach in 2012, The Float Lounge offers patrons the opportunity to fully relax their minds and bodies in a dark and soundproof enclosed tank that measures 5 feet by 9 feet. Filled with 10 inches of filtered water—heated to 93.5 degrees—and 1,000 pounds of Epsom salt, the tanks offer a neutral environment in which the body is submerged. And, according to The Float Lounge’s website, the point of “effortlessly floating” during the one-hour salt tank therapy session is to shut out the external world and mute the senses, which is believed to result in better sleep, a boosted immune system, improved mood, reduced stress and increased creativity and clarity, among other benefits. “Floating allows the body and mind to experience homeostasis—complete balance. It is preventive and restorative,” says Rosanne Ramirez, who co-owns The Float Lounge with Jeff Brion; both Ramirez and Brion are certified holistic health practitioners. “Floats appeal to everyone and are beneficial for almost everyone—post-surgery, post-workout, post-injury or [for those with] high stress [levels],” Ramirez adds. Some of the additional physical benefits of floating may include spinal decompression, detoxification of the body, increased circulation, lowered blood pressure and reduced inflammation and joint pain. Mental and emotional benefits may also include a higher awareness of self, or “expanded consciousness,” according to Brion, who adds that floating offers a “deeper form of meditation.” And, according to the co-owners, there are no risks to floating, but they do advise clients to not get the tank’s saline solution in their eyes. Prior to a float session, new clients are educated with tips and a short video explaining proper hygiene, earplug use and the best float position to optimize the body’s alignment and decompress the neck and spine. And, during each session, clients have their own private room with a float tank and shower—stocked with organic toiletries, towels and earplugs—for a unique opportunity to be alone with their minds while enjoying total relaxation, which is described as a weightless feeling similar to the effect of zero gravity. “Many people turn to alternative therapies because the other direction isn’t working for them,” Brion says. After following the traditional medical route to treat his own ailments, which included ulcerative colitis, he turned to alternative healing treatments like floating—in addition to focusing on nutrition, exercise and emotional and spiritual practices—to find relief. Melissa Brown, manager of CryoCareUSA’s Laguna Beach location; chryotherapy treatments use subzero-degree chambers. Cryotherapy, a treatment that uses freezing temperatures believed to mitigate a range of issues in the body, has been offered at CryoCareUSA since opening in December 2015. CryoCareUSA’s services, which entail a roughly three-minute session in a subzero-degree chamber, were designed to complement or replace traditional therapies intended to reduce inflammation and pain, among other ailments. “Liquid nitrogen cools the air in the tank to between -200 and -240 degrees Fahrenheit and drops the body’s temperature by 30 to 40 degrees,” explains Melissa Brown, manager of CryoCareUSA in Laguna Beach; the business now has a Huntington Beach location as well. According to Brown, by exposing the body to subzero temperatures, the central nervous system is activated, which results in the increased production of endorphins, the removal of toxins and metabolic waste through oxygenated blood, the alleviation of pain and inflammation, and the healing and recovery of muscles. Cryotherapy is also believed to improve circulation, treat skin problems such as acne, fine lines and wrinkles, cellulite, psoriasis, dermatitis, dry skin and eczema, and even help promote weight loss. “Cryotherapy helps people feel better and heal more quickly,” Brown says. “It’s cold, but not intolerably so. The treatment is always monitored, and our employees are highly trained on the machines and are CPR-certified,” she adds. Brown explains that pregnant women, in addition to people with uncontrolled blood pressure or who have been diagnosed with illnesses or diseases such as Raynaud’s disease should not seek cryotherapy treatments; all patients complete a health screening prior to their first session. Once cleared for the treatment, thick socks and gloves are provided to cover the client’s extremities during the freezing-cold session. During the session, clad only in underwear, a patient stands in a single-person chamber as the tank’s temperature drastically drops. Every 30 seconds, the patient is instructed to make a quarter turn to keep the body moving slightly. “During the treatment, blood is pushed to the core to protect vital organs,” Brown says. Immediately afterward, patients experience a tingling sensation as blood rushes back to the extremities. “After the treatment is done, fresh oxygenated blood is forced back through the body and delivered where it is needed the most,” Brown says. As a result, most patients will find that they have more energy throughout the day, and will sleep better throughout the night, according to Brown, who adds that pain or inflammation is immediately reduced, with most patients reporting that they feel a difference after only one treatment. Brown says that, typically, most of her clients come in three times per week for cryotherapy sessions. Dr. Florie (left) researched and developed The Hydration Room’s more than 20 intravenous and injection formulas; the business boasts a Zen atmosphere. 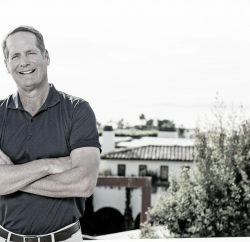 Florie, an anesthesiologist, opened the Laguna Beach hydration therapy clinic, the second of his three Orange County locations, in June 2015. Board-certified and more than familiar with intravenous therapy, Florie researched and developed the clinic’s program of more than 20 different intravenous (typically administered through a vein in the arm) and injection (administered intramuscularly via the buttocks) formulas to assist patients in achieving optimal health. But The Hydration Room differs from similar establishments in that it is doctor-supervised, and the nurses are emergency room-trained with Advanced Cardiovascular Life Support (ACLS) certification. And the facility was created to have a Zen-like atmosphere so patients feel like they’re headed to a spa rather than a doctor’s office; during treatments, they may relax in chaise lounges and watch TV or movies, listen to music or read. 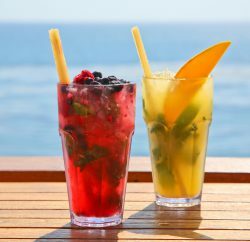 As for the treatments themselves, the hydration therapy options all comprise vitamin blends—made with vitamins B, C and D as well as as zinc, antioxidants and other “holistic-type compounds,” according to Florie, who adds that all of his treatments are natural and contain no synthetic additives or stimulants. The formulas are designed to help patients with everything from boosting energy levels to fighting a cold or flu or alleviating the symptoms of a hangover. The benefits of intravenous fluid hydration and injection therapies are believed to include immune system support, increased energy, boosted collagen production and reduction of inflammation and pain, among others. While unlikely to occur, risks of these treatments may include nerve damage, blood clots, excessive bleeding, bruising at the injection site, or infection. Each patient’s medical history is carefully studied before beginning any type of IV or injection process. A customized treatment plan is also established and is reassessed with each patient before each session. The IV treatments, generally sought after by people with compromised immune systems or athletes in need of recovery, for example, last roughly 30 to 45 minutes, while the injection treatments, administered through a shot and typically given to those seeking increased energy, stress relief or help with weight loss, are finished within a few minutes. The Hydration Room recently established a membership program for patients, which can help them save up to 30 percent on services. According to Florie, some patients visit three times a week, and others come in for treatments on a weekly or biweekly basis. The most popular therapies are the Energy Boost IV Therapy, which also speeds up the metabolism, according to Florie, and the Immune Support IV Therapy, which he says boosts the immune system and protects the body against the flu or common cold. Whether you seek something as simple as avoiding the sniffles this season, or wish to completely overhaul your lifestyle when it comes to taking care of yourself this year and beyond, there’s something for everybody in the way of holistic or whole-body health in Laguna Beach. These additional local establishments offer innovative fixes that soothe mind and body, whether you’re looking to add to your pre-existing alternative therapy routine or simply try something new this year.